Plaza Indonesia Film Festival is back! We're proud to present the annual movie festival that will be showcasing the selection of award wining movies both local and international. 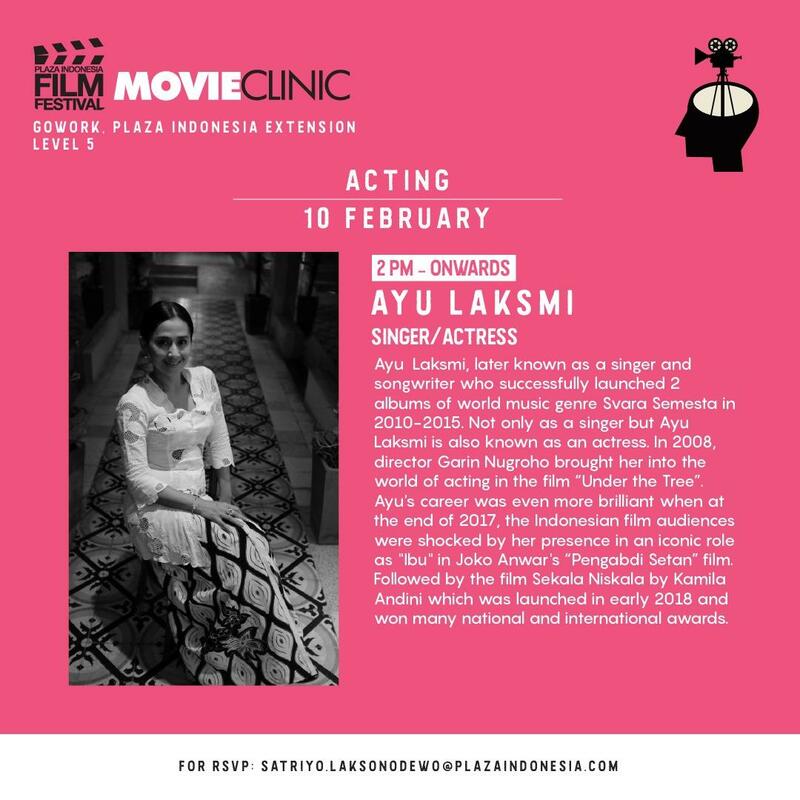 Don't forget to also join Movie Clinic, the movie workshops with some renowned specialist in the industry.